The present invention relates to the field of drug crystals. Specifically, to a crystalline form of the hydrochloride salt R228060 their preparation and use, field of medicine. Excessive daytime sleepiness (Excessive Daytime Sleepiness, EDS) or pathological somnolence refers to excessive daytime sleep and wakefulness associated with various sleep disorders. These disorders can be the basis for a sleep disorder or sleep have side effects caused by some other medical conditions. Excessive daytime sleep, also known as narcolepsy, sleep clinics is seen mainly in patients with disease that affects 12% of the general population. EDS patients may be manifested as mental distress, poor work or school performance, increasing the risk of accidents, the impact of EDS can debilitating, even life-threatening. R228060, also known JZP-110, is a selective dopamine and norepinephrine reuptake inhibitor, originally developed by R & D, SK biopharmaceutical, 2014 Sir ownership of the pharmaceutical compound. R228060 has the potential to treat narcolepsy and sleep apnea syndrome, in three multi-center study in two global reached the primary endpoint, and achieved positive results, significantly improved adult obstructive sleep apnea patients excessive sleepiness in patients with narcolepsy and excessive sleep problems. Solid Form different chemicals, can cause varying their solubility and stability, and thus affects the absorption and bioavailability of the drug, and can lead to differences in clinical efficacy. Improve the candidate compound has a solubility by salt way become an important means of drug development. Compared to the free form of the drug, suitable pharmaceutically acceptable salts can improve the solubility of the drug type, increased physical and chemical stability, and also to improve the drug-salt having a melting point, hygroscopicity, crystal type and other physical properties, further development of the pharmaceutical dosage form It plays an important role. Patent Document WO1996007637A1 discloses R228060 hydrochloride and its preparation method, and other characteristics of the obtained having a melting point of 172-174 deg.] C as a white solid, the solid was not given in the text data. Further, the present inventors found no other relevant R228060 hydrochloride polymorph or patent literature. Accordingly, the present need in the art to develop a comprehensive system R228060 hydrochloride polymorph, found to be suitable to the development of crystalline form. The present inventors after many experiments, found that polymorph CS1 R228060 hydrochloride CS2 and a melting point polymorph, Form CS1 and CS2 is Form 183 ℃, much higher than the melting point disclosed in prior art solid. It provides a better alternative preparation of pharmaceutical preparations containing R228060 is, has very important implications for drug development. For the presence of gaps and deficiencies in the prior art, a primary object of the present invention to provide a crystalline form its preparation method and uses hydrochloride R228060. The object of the present invention, the present invention provides a polymorph CS1 R228060 hydrochloride (hereinafter referred to as "Form CS1"), the crystalline form is a hydrate CS1. Using Cu-Kα radiation, the CS1 Form X-ray powder diffraction in the diffraction angle 2θ is 22.9 ° ± 0.2 °, 27.3 ° ± 0.2 °, 20.9 ° ± 0.2 ° of the characteristic peaks. Further, the crystalline form of CS1 X-ray diffraction at diffraction angles 2θ value of 24.1 ° ± 0.2 °, 21.6 ° ± 0.2 °, two, or three, or a 26.1 ° ± 0.2 ° of the characteristic peaks. Preferably, the crystalline form of CS1 X-ray diffraction at diffraction angles 2θ value of 24.1 ° ± 0.2 °, 21.6 ° ± 0.2 °, 26.1 ° ± 0.2 ° are the characteristic peaks. Further, the crystalline form of CS1 X-ray diffraction at diffraction angles 2θ value of 17.1 ° ± 0.2 °, 13.5 ° ± 0.2 °, one or two or three characteristic peaks of 6.9 ± 0.2 °. Preferably, the crystalline form of CS1 X-ray diffraction at diffraction angles 2θ value of 17.1 ° ± 0.2 °, 13.5 ° ± 0.2 °, 6.9 ° ± 0.2 ° are the characteristic peaks. In a preferred embodiment, the crystalline form of CS1 X-ray diffraction at diffraction angles 2θ value of 22.9 ° ± 0.2 °, 27.3 ° ± 0.2 °, 20.9 ° ± 0.2 °, 24.1 ° ± 0.2 °, 21.6 ° ± 0.2 °, 26.1 ° ± 0.2 °, 17.1 ° ± 0.2 °, 13.5 ° ± 0.2 °, 6.9 ° ± 0.2 ° of the characteristic peaks. Without limitation, in a particular embodiment of the invention, the crystalline form CS1 X-ray powder diffraction spectrum shown in Fig. Without limitation, in one specific embodiment of the present invention, the present invention provides a crystalline form of CS1, when subjected to differential scanning calorimetry, heating to around 76 deg.] C began to appear first endothermic peak for Form CS1 dehydration endothermic peak, began heating the second endothermic peak around 183 ℃, which is shown in Figure 2. DSC. The object of the present invention, the present invention also provides a method for preparing crystalline form of the hydrochloride salt of CS1 R228060, characterized in that, the method comprising: R228060 free base with a solid or esters or alkanes or halogenated aromatic hydrocarbons mixed solvent, followed by addition of concentrated hydrochloric acid, stirred to prepare polymorph CS1 at room temperature. The ester comprises ethyl acetate, the alkanes comprising cyclohexane and n-heptane, the aromatic hydrocarbons include toluene, the halogenated hydrocarbon comprising chloroform. The object of the present invention, the present invention also provides a crystalline form of the hydrochloride salt R228060 CS2 (hereinafter referred to as "Form CS2"), the crystalline form is anhydrous CS2. Using Cu-Kα radiation, X-ray powder diffraction of the Form CS2 value of diffraction angle 2θ 24.7 ° ± 0.2 °, 23.8 ° ± 0.2 °, 19.8 ° ± 0.2 ° of the characteristic peaks. Further, the crystalline form of CS2 in the X-ray powder diffraction diffraction angle 2θ is 29.3 ° ± 0.2 °, 20.4 ° ± 0.2 °, one or two or three characteristic peaks 26.3 ° ± 0.2 ° in. Preferably, the crystalline form of CS2 in the X-ray powder diffraction diffraction angle 2θ is 29.3 ° ± 0.2 °, 20.4 ° ± 0.2 °, 26.3 ° ± 0.2 ° are the characteristic peaks. Further, the crystalline form of CS2 in the X-ray powder diffraction diffraction angle 2θ is 16.0 ° ± 0.2 °, 6.7 ° ± 0.2 °, two, or three, or a 12.3 ° ± 0.2 ° of the characteristic peaks. Preferably, the crystalline form of CS2 in the X-ray powder diffraction diffraction angle 2θ is 16.0 ° ± 0.2 °, 6.7 ° ± 0.2 °, 12.3 ° ± 0.2 ° are the characteristic peaks. In a preferred embodiment, the crystalline form of CS2 in the X-ray powder diffraction diffraction angle 2θ is 24.7 ° ± 0.2 °, 23.8 ° ± 0.2 °, 19.8 ° ± 0.2 °, 29.3 ° ± 0.2 °, 20.4 ° ± 0.2 °, 26.3 ° ± 0.2 °, 16.0 ° ± 0.2 °, 6.7 ° ± 0.2 °, 12.3 ° ± 0.2 °, 13.2 ° ± 0.2 °, 31.0 ° ± 0.2 ° of the characteristic peaks. Without limitation, in a particular embodiment of the invention, the crystalline form CS2 X-ray powder diffraction spectrum shown in FIG. Without limitation, in one specific embodiment of the present invention, the present invention provides a crystalline form of CS2, when subjected to differential scanning calorimetry, heating to around 183 ℃ endothermic peak appeared as a crystalline melting point of CS2 a DSC diagram shown in Figure 5. 1) The hydrochloride Form CS1 R228060 heated to 80 ~ 180 ℃, to obtain Form CS2. Preferably, the ketone comprises acetone and methyl ethyl ketone, the nitriles comprises acetonitrile. The "agitation", using conventional methods in the art is completed, for example, mechanical stirring or a magnetic stirrer, stirring speed of 50 to 1800 rev / min, preferably 300 to 900 revolutions / minute. In the present invention, "crystalline" or "polymorph" refers to a X-ray diffraction is shown in FIG characterized confirmed. Those skilled in the art will appreciate that the physical and chemical properties discussed herein may be characterized in which the experimental error depends on the purity of the sample preparation and the conditions of the instrument, sample. In particular, the present art is well known in the art, X-ray diffraction pattern typically varies with changing conditions of the instrument. Of particular note is that the relative intensity of X-ray diffraction pattern may change with the experimental conditions change, the order of peak intensity as the sole or decisive factor. In fact, the preferred orientation relative intensities of the diffraction peaks in the XRPD pattern of the crystal is related to the peak intensity shown herein is illustrative and not for absolute comparison. Further, experimental error peak at an angle of typically 5% or less, these angle error should also be taken into account, usually allows an error of ± 0.2 ° is. In addition, due to the influence of experimental factors such as the height of the sample, will result in overall peak offset angle, typically allow a certain offset. Thus, those skilled in the art will appreciate that, X-ray diffraction examples of the present invention, a crystalline form of X-ray diffraction figures are not necessarily referred to herein and in exactly the same, herein "the XRPD FIG identical" does not mean exactly the same , may differ from the same peak position ± 0.2 ° and a peak intensity allow a certain variability. And any crystalline form has characteristic peaks of these profiles are the same or similar to FIG belong within the scope of the present invention. Those skilled in the art to the present invention will be set forth in Atlas and a crystalline form of the unknown pattern is compared to confirm that the two maps are the same or reflects different crystalline forms. In some embodiments, polymorph Form CS1 and CS2 of the present invention are pure, single, substantially free of any other polymorph mixture. In the present invention, "substantially free" when used to refer to a new polymorphic crystal form means that other polymorph contains less than 20% (by weight), and especially of less than 10% (by weight) of other crystalline forms, also refers to less 5% (by weight) of other crystalline forms, also refers to other polymorph less than 1% (by weight) of. Incidentally, the present invention is mentioned numerical value range and are not to be construed as narrowly se value or range, it should be understood by those skilled in the art that may be depending on the particular technical environment, without departing from the spirit of the invention and fluctuate around specific values ​​based on the principles of the present invention, the person skilled in the foreseeable range mostly floating term "about" is represented. 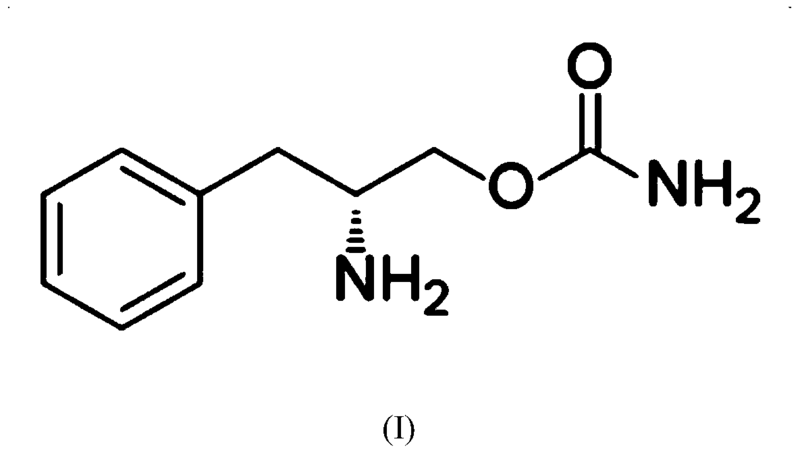 Further, the present invention provides a pharmaceutical composition, said pharmaceutical composition comprising a therapeutically and / or prophylactically effective amount of a crystalline form of the present invention, CS1, Form CS2, and at least one pharmaceutically acceptable carrier, diluent or excipient shape agent. Further, the present invention provides a crystalline form of the hydrochloride CS1 R228060, Form CS2 use in the pharmaceutical preparation in the treatment of central nervous system diseases. Further, the present invention provides a crystalline form of the hydrochloride CS1 R228060, for the preparation of Form CS2 treating narcolepsy and sleep apnea syndrome pharmaceutical formulation use. 1) the crystalline form of the present invention CS1 and CS2 crystalline form has good stability, comprising a high temperature stability, long term stability and mechanical stability. Melting point polymorph Form CS1 and CS2 are in the vicinity of 183 ℃, much higher than the melting point of the solid prior patents (172-174 deg.] C) and has better high temperature stability. Form Form CS1 and CS2 may be stably placed at least 25 ℃ / 60% RH and / or 40 ℃ / 75% RH month, preferably stable for at least six months placed, preferably stable for at least one year placed. Crystal CS1 and CS2 crystalline form has good stability, and to ensure the quality of drugs affects the crystal transformation phenomenon does not occur in the preparation of pharmaceuticals, transportation, storage and preservation process, to ensure drug efficacy and safety, prevent adverse drug important to react. The polymorph Form CS2 CS1 and ground by hand for 30 minutes polymorphs and no significant change in crystallinity, the crystalline form of the present invention described CS1 and CS2 polymorph having outstanding mechanical stability, the formulation process often requires milling of the drug grinding, high mechanical stability of the drug can reduce the risk of changing the degree of crystallinity and crystal form crystal transformation occurs during processing of the formulation. After 2) polymorph Form CS1 and CS2 provided by the present invention have excellent solubility and high dissolution rate, solubility in water of greater than 10mg / mL, prepared as a crystalline form of capsule preparation, the elution amount of water, i.e. during 10min up to 60%. In the development of the formulation, the drug having rapid dissolution rate may be rapid dissolution speed drug in vivo after administration, by adjusting materials, controlled drug quickly in a particular part to play a role to improve the rate of onset of drug. 3) Form Form CS1 and CS2 present invention provides almost no hygroscopicity, weight gain at 80% relative humidity of 0.12% and 0.08%, respectively, before and after the hygroscopic crystalline form and not changed. Almost no hygroscopic crystalline form during the formulation process may not be necessary to control humidity, without demanding special conditions for packaging and storage, cost, ease of industrial production and long term storage of pharmaceuticals. Because of the requirements are not stringent storage conditions, will greatly reduce the cost of material storage and quality control, with strong economic value, but also for medicinal purposes. 4) Form Form CS1 and CS2 provided by the present invention has excellent formulation stability, Form stable for at least for two weeks in the formulation. Place some time and single crystalline matter content no change significantly important to ensure the safety and efficacy of the formulation. Figure 1 is an XRPD pattern obtained in Example 1 Form CS1 embodiment of the present invention. FIG 2 is a DSC chart obtained in Example 1 Form CS1 embodiment of the present invention. FIG 3 is a TGA plot for Form 1 obtained in Example CS1 embodiment of the present invention. Example 3 The resulting XRPD pattern of Form CS2 embodiment of FIG. 4 in accordance with the present invention. 5 is obtained in Example 3 DSC of Form CS2 embodiment of the present invention, FIG. FIG 6 is a crystalline form obtained in Example 3 and CS2 TGA embodiment of the present invention, FIG. FIG 7 XRPD overlay embodiment polymorph CS1 6 disposed around 25 ℃ / 60% RH month embodiment of the invention. Example 8 Form CS1 6 placed in front of the XRPD overlay 40 ℃ / 75% RH month of the present invention. FIG. FIG. 9 XRPD Form Example 6 CS2 disposed around 25 ℃ / 60% RH month embodiment of the invention. FIG 10 XRPD stack before and after milling in Example 7 Form CS1 embodiment of the present invention. FIG 11 XRPD stack before and after milling in Example 7 Form CS2 embodiment of the present invention. FIG 12 DVS FIG Form CS1 embodiment 8 of the present invention. Example 13 8 CS2 DVS of Form embodiment of the present invention, FIG. The present invention is further defined in the following reference example embodiments, the crystalline form of embodiment of the method of making and using the present invention in detail. The skilled person will be apparent that many modifications both to materials and methods may be practiced without departing from the scope of the invention. Differential thermal analysis (DSC) data is collected from a TA Instruments Q200MDSC, instrument control software was Thermal Advantage, analysis software Universal Analysis. Thermogravimetric analysis (TGA) data collected from TA Instruments Q500TGA, instrument control software was Thermal Advantage, analysis software Universal Analysis. In the present invention dissolution data collected from the assay Sotax AT7Smart. Unless otherwise noted, the following examples were operated at room temperature. R228060 R228060 free base and hydrochloride used in the examples are prepared according to the method described in Patent Document WO1996007637A1 the following embodiments. It said it would 11.3mg R228060 free base was added to 1.0mL of ethyl acetate, followed by addition of 2μL of concentrated hydrochloric acid (12 mol / L), stirred at room temperature for 24 hours, the solid was centrifuged and the lower layer, and dried at room temperature and tested, resulting in a crystalline solid type CS1, its XRPD data were shown in table 1, shown in Figure 1. XRPD. DSC Form CS1 shown in FIG. 2, was heated to 76 deg.] C began to appear near the first endothermic peak, the second endothermic peak appeared at 183 ℃. As shown in FIG. TGA of Form 3 CS1, which was heated to 100 deg.] C, it has a loss of about 3.4% by mass. Weigh a mass of the free base is added to R228060 in Table 2 in the solvent, followed by addition of 2μL of concentrated hydrochloric acid (12mol / L), stirred at room temperature for 24 hours, the solid was centrifuged and the lower layer, and dried at room temperature. After testing, the resulting solids were Form CS1, 2-a wherein the sample is shown in Table 3 XRPD data. The crystalline form 10.2mg R228060 CS1 was heated to 110 ℃, the resultant solid was detected as Form CS2, which are shown in Table XRPD data, as shown in FIG 4 XRPD FIG. DSC Form CS2 shown in FIG. 5, it is heated to around 183 ℃ a melting endothermic peak appeared as a crystalline melting point of CS2. TGA of Form CS2 shown in FIG. 6, when heated to 150 deg.] C, has a mass loss of about 0.2%. The 10.2mg R228060 hydrochloride was added to 0.1mL of methanol and 1.2mL was added dropwise tert-butyl methyl ether, stirred at room temperature until crystallization, the lower layer was centrifuged solid was dried at room temperature, after testing, the resulting solid is crystalline form CS2, which XRPD data as shown in table 5. Weigh a mass of the free base is added to R228060 in Table 6 in the solvent, followed by addition of 2μL of concentrated hydrochloric acid (12mol / L), stirred at room temperature for 24 hours, the solid was centrifuged and the lower layer, and dried at room temperature, after testing, the resulting solids were crystal CS2. 5-a wherein the sample resulting solid XRPD data were shown in Table 7. Form Form CS1 and CS2 samples taken R228060 hydrochloride were placed in 25 ℃ / 60% RH and / or 40 ℃ / 75% RH constant temperature and humidity tank open place, XRPD and sampled for 1 month purity. XRPD results are shown 7, 8 and 9, in the graph of FIG. 7 before placing Form CS1 XRPD pattern, placed below shows the XRPD pattern at 25 ℃ / 60% RH for 1 month; FIG 8 in front of the picture shows the XRPD pattern of Form CS1 placed below shows left at 40 ℃ / 75% RH for 1 month XRPD pattern; XRPD pattern of FIG. 9 on the front Pictured Form CS2 placed, the following figure shows the XRPD pattern placed at 25 ℃ / 60% RH for 1 month. The results showed that, R228060 hydrochloride polymorph Form CS1 and CS2 stand for 1 month in Form 25 ℃ / 60% RH and / or 40 ℃ / 75% RH remains constant, and no significant change in the purity. DESCRIPTION R228060 hydrochloride polymorph Form CS1 and CS2 has excellent stability. Crystal CS1 and CS2 crystalline form has good long-term stability, and to ensure the quality of drugs affects the crystal transformation phenomenon does not occur in the preparation of pharmaceuticals, transportation, storage and preservation process, to ensure drug efficacy and safety, the prevention of drug importance of adverse reactions. The CS1 R228060 hydrochloride polymorph of the present invention and Form CS2 samples were placed in a mortar, and ground by hand for 30 minutes and the test solid XRPD. (XRPD comparison of before and after the polishing CS2, the graph before grinding, polishing following figure) Results FIG 10 (CS1 XRPD comparison before and after polishing, before polishing on the graph, the following figure milled) and 11. The results show that, under a certain mechanical stress, crystallinity, and crystalline form Form CS1 R228060 hydrochloride polymorph of the invention and CS2 were not changed significantly, still maintain a stable physicochemical properties, for medicines and store. Formulation process often requires the drug to grind, high polishing stability can reduce the risk of the drug crystalline forms of crystal transformation occurs to change the formulation and processing. Weigh R228060 hydrochloride polymorph Form CS1 and CS2 from about 10mg dynamic moisture sorption (DVS) instrument tested for hygroscopicity, the experimental results shown in Table 8, polymorph Form CS1 and CS2 are shown in FIG. 12 DVS 13 and FIG. Deliquescent: absorb enough water to form a liquid. Very hygroscopic: primer wet weight gain of not less than 15%. Hygroscopicity: primer wet weight gain of less than 15% but not less than 2%. Slightly hygroscopic: primer wet weight gain of less than 2% but not less than 0.2%. No or almost no hygroscopicity: primer wet weight gain of less than 0.2%. The results show that Form CS1 and CS2 polymorph of the present invention at a humidity of 80% weight gain after equilibrium was 0.12% and 0.08%, respectively, according to the standard definition of hygroscopicity weight gain, they belong to two polymorphs almost no hygroscopicity. Low crystalline form of the present invention CS1 and CS2 of the hygroscopic crystalline form, can well against the pharmaceutical formulation and / or storage, and formulation instability over Cheng Zhongjing type by external environmental factors caused by moisture and the like can not be processing problems, there facilitate transport and storage the prepared formulation and accurate quantitation later. Weighing the contents listed in Table polymorph Form CS1 or CS2, microcrystalline cellulose, crosslinked sodium carboxymethyl cellulose, and 3mg magnesium stearate, mixing for 2 minutes. Manual tablet press into tablets, 20mm diameter circular die, the pressure 5kN ± 1kN. By hand through a 20 mesh screen, then 3mg magnesium stearate was added, mixed for 1 minute. The mixture was loaded into # 0 gelatin capsule shell. With 35cc HDPE (High Density Polyethylene) bottle (one bottle), each containing 1g desiccant, sealed with a sealing machine. Prescription capsules (300 mg of each) in Table 9 below, after the drug for one month, after testing, polymorph Form CS1 and CS2 and unchanged polymorph purity occurring in the capsule. Dissolution rate results polymorph Form CS1 and CS2 and CS1 showed polymorph Form CS2 has a faster dissolution rate, the time to 10min elution amount over 60%. In the development of the formulation, the drug having rapid dissolution rate may be rapid dissolution speed drug in vivo after administration, by adjusting excipients to control the drug quickly in a particular part to play a role to improve the rate of onset of drug. The above-described embodiments illustrate the technical concept and features of the present invention, its object is to only allow those skilled in the art to understand the present invention and according to embodiments, and not limit the scope of this invention. Where an equivalent changes or modifications made from the spirit of the present invention, shall fall within the scope of the present invention. Form CS1 one kind R228060 hydrochloride, characterized in that an X-ray powder diffraction pattern is 22.9 ° ± 0.2 ° in 2θ, 27.3 ° ± 0.2 °, 20.9 ° ± 0.2 ° having characteristic peaks. The CS1 polymorph according to claim 1, further characterized in that an X-ray powder diffraction pattern is 24.1 ° ± 0.2 °, 21.6 ° ± 0.2 ° in 2θ, 26.1 ° ± 0.2 ° in one or two or have three characteristic peaks. The CS1 polymorph of claim 1 or claim 2, further characterized in that an X-ray powder diffraction pattern in 2θ value of 17.1 ° ± 0.2 °, 13.5 ° ± 0.2 °, an 6.9 ° ± 0.2 ° or having two or three peaks. The method of preparing the crystalline form as claimed in claim 1. A CS1, wherein the solid free base with R228060 esters or alkanes and aromatic hydrocarbons, halogenated hydrocarbons or mixed solvents, and concentrated hydrochloric acid, stirred at room temperature to give Form CS1. The production method according to claim 4, wherein the ester comprises ethyl acetate, the alkanes comprising cyclohexane and n-heptane, toluene comprising the aromatic hydrocarbons, the halogenated hydrocarbons comprising chloroform. One kind R228060 hydrochloride polymorph CS2, characterized in that an X-ray powder diffraction pattern is 24.7 ° ± 0.2 ° in 2θ, 23.8 ° ± 0.2 °, 19.8 ° ± 0.2 ° having characteristic peaks. The CS2 polymorph according to claim 6, further characterized in that an X-ray powder diffraction pattern is 29.3 ° ± 0.2 °, 20.4 ° ± 0.2 ° in 2θ, 26.3 ° ± 0.2 ° in one or two or have three characteristic peaks. The polymorph CS2 6 or claim 7, further characterized in that an X-ray powder diffraction pattern in 2θ value of 16.0 ° ± 0.2 °, 6.7 ° ± 0.2 °, a 12.3 ° ± 0.2 ° or having two or three peaks. 3) The free base R228060 ketone solvent mixed with a solid or nitriles, and then concentrated hydrochloric acid, to prepare polymorph CS2 was stirred at room temperature. 2) A method in the alcohol comprises methanol, said ethers comprise methyl tert-butyl ether. Form CS1 Claim 1 A pharmaceutical composition, said pharmaceutical composition comprising a therapeutically effective amount of a claim acceptable polymorph of claim 6 and a pharmaceutically acceptable carrier as claimed in claim CS2, diluent or excipient. Form according to claim 1 CS1, CS2 polymorph of claim 6 for the manufacture of a medicament for the treatment of central nervous system diseases claims. Form according to claim 1 CS1, CS2 of the crystalline form as claimed in claim 6, in the manufacture of treating narcolepsy and sleep apnea syndrome medicament use.